Hydraulic fracturing, or fracking, is the use of high pressure fluid to crack shale rock and release the natural gases within. It is highly popular and profitable, but also very lethal and dangerous. 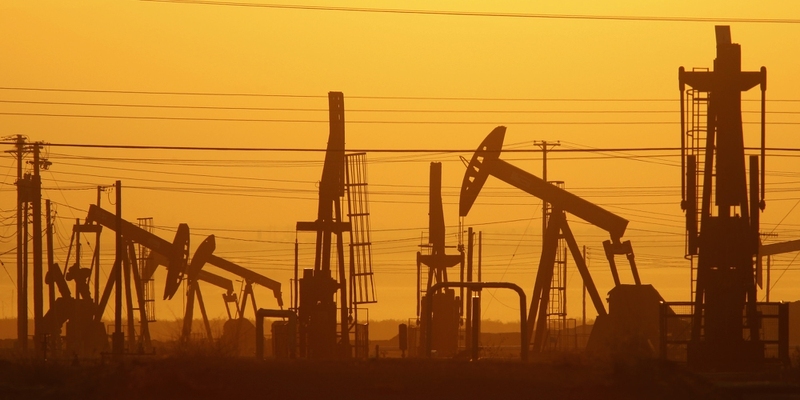 Here are 15 reasons why fracking could wind up killing us all in the near future. Despite the many dangers fracking poses on both mankind and the environment, Congress has yet to address the issue. When most of these politicians are getting rich off of heavy donations from pro-fracking industries, it is really no surprise why not a finger has been lifted to stop this dangerous practice. No matter how strong metal pipes seem during periodic testing, no pipe can withstand a constant barrage of high-pressure pumping, especially considering how the same pipes and wells are often tapped more than 18 times during fracking procedures. This leads us into our next slide. Fracking pipes tend to leak and rupture, releasing toxic natural gases, fracking fluid, residue and other poisons into the surrounding areas. If fracking is supposed to be so safe and effective, then how come leakages occur as often as they do? Waste fracking fluid is left in open pits to evaporate into the air. These volatile organic compounds enter the atmosphere, which creates great big holes in the ozone layer. Next thing you know, global warming is accelerated. However, pro-fracking politicians are in total denial about environmental effects on global warming. Ever struck a match near a gas light on your stove? Remember how the flame rose wildly as a result of flammable gas meeting fire? Just imagine that times ten thousand when gas leaks cause massive explosions near and on fracking sites. In 2014, 138 workers were killed on the job, due to an excessive amount of long hours worked in a very exhausting job with little to no down time. Many also lack proper training and some unscrupulous employers don't ensure safe working environments. Mind you, these workers are making peanuts. Compare that to being a Congressman, who often do the least amount of work possible for an incredibly high salary. The Frank Oz comedy 'Bowfinger' was about the filming of an action flick about aliens who come to Earth in raindrops. Thanks to fracking and the practice of leaving excess waste fluids to evaporate in open pits, Earth is also getting an unwelcome visitor in raindrops: acid chemicals. Only 30 percent of the sand, water and chemical bath known as fracking fluid is recovered after the gas is properly extracted. The remaining 70% is a non-biodegradable toxic sludge that remains behind, contaminating someone's property or the town water supply. Drinking well water contaminated by fracking waste and gases have resulted in over 1,000 documented cases of people suffering from sensory, respiratory and severe neurological damage. It has also caused low birth weight in babies whose mothers drank the poisoned water. Between the high pressure pumping and extraction methods, the contamination of property and water and extensive property damage caused by fracking, they are slowly driving people away from their homes and into homelessness. Over six hundred known carcinogens make up the chemical soup used to make fracking fluid, including lead, mercury, uranium, ethylene glycol, radium, methanol, hydrochloric acid and formaldehyde. That's even more carcinogens than are within an entire pack of cigarettes. Since massive amounts of chemicals are blended with sand and water to form fracking fluid and a colossal amount of pressure is needed to push this sludge through the pipes to crack up the shale rock, chances are you'll be bathing in a chemical bath after all this crud contaminates your water supply! If you need warning signs near natural gas lines and fracking sites, then natural gas isn't that safe now, is it? Between one and eight million gallons of water is needed for each fracking session. None of it can be reused or safely recycled afterward. Meanwhile, you have entire states suffering from intense drought that could desperately use that water wasted just to make a few magnates and politicians richer than they already are. Methane gas, carcinogens and other toxic chemicals, along with shale sediment and residue, seep out of the wells and pipes during fracking, contaminating all water supplies that happen to have the great misfortune of being nearby. Not to mention all the volatile organic compounds that enter the air supply and atmosphere.